Horror awaits Charlie Marlow, a seaman assigned by an ivory company to retrieve a cargo boat along with one of its employees, Mr. Kurtz, who is stranded deep in the heart of the Belgian Congo. Marlow's journey up the brooding dark river soon becomes a struggle to maintain his own sanity as he witnesses the brutalization of the natives by white traders and then discovers the enigmatic Mr. Kurtz. Kurtz, once a genius and the company's most successful representative, has become a savage; his compound is decorated by a row of human heads mounted on spears. It soon becomes clear that the demonic mastermind, liberated from the conventions of European culture, has traded his soul to become ruler of his own horrific dominion. Acclaimed to be one of the great, albeit disturbing, visionary works of western civilization, Joseph Conrad's haunting tale dramatizes the stark realities of Africa in the colonial period. 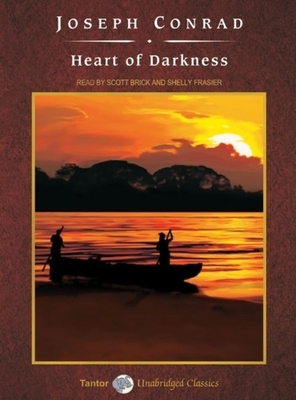 Heart of Darkness reflects the physical and psychological tragedies that Conrad had experienced while working in the Belgian Congo in 1890. It is also the basis of Francis Ford Coppola's Academy Award-winning film Apocalypse Now.